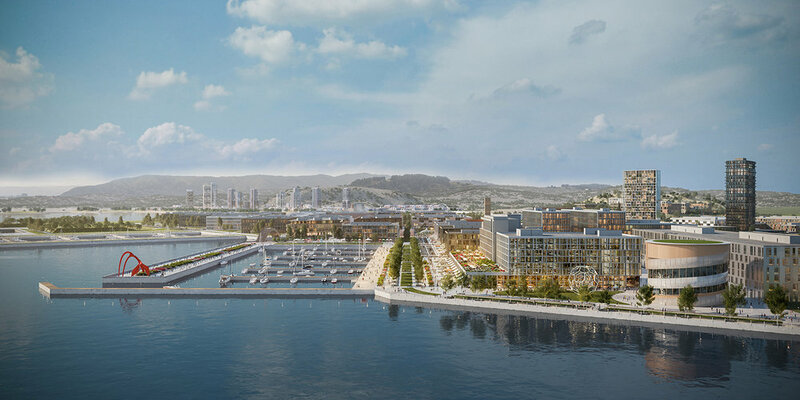 As the Public Commons for San Francisco’s newest waterfront neighborhood and urban innovation district at Hunter’s Point Shipyard, the Green Room takes its inspiration from the shipyard’s rural and naval origins. The 10 acre park will celebrate and reveal the layered 150 year history of the local community and will be a model of sustainable urbanism. 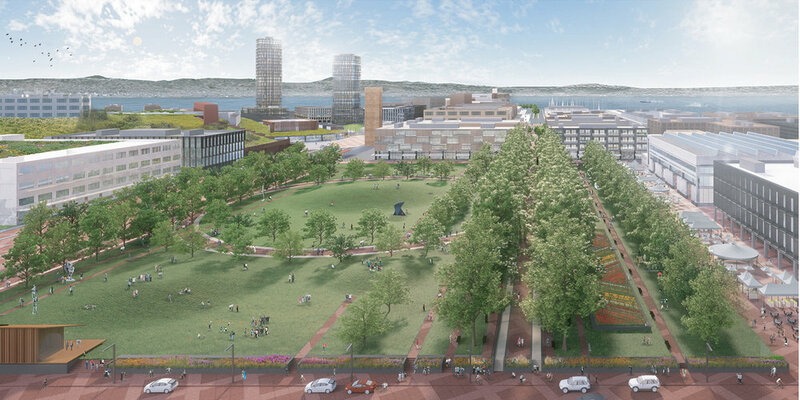 As the green center and ‘ethos’ of the community, the Park will provide a place for civic events, social engagement and cultural activities as well as a day-to-day amenity for people who live and work in the neighborhood. 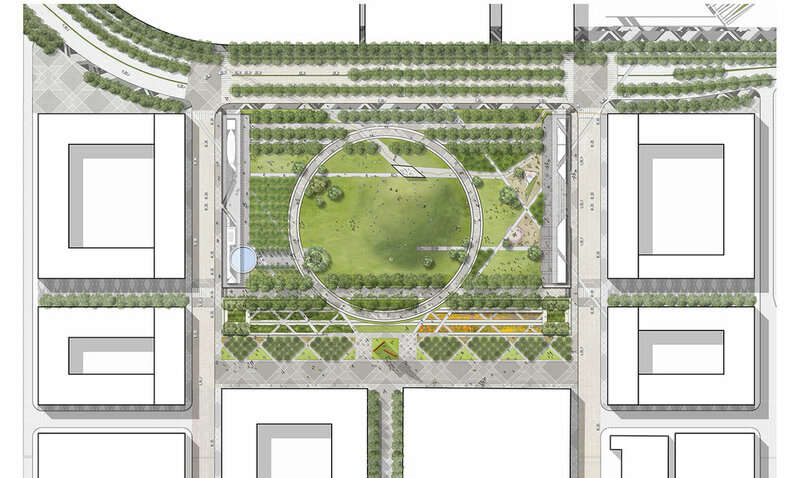 Linked by a web of green infrastructure to adjacent neighborhoods, bay edge parks and trails, historic dry dock structures, artist’s maker spaces and public transit, it will exemplify urban connectivity. This former brownfield site will be transformed into a mosaic of park and garden spaces within a frame of tree-lined streets and reclaimed industrial heritage buildings. A Reflective Pavilion dedicated to poet Maya Angelou will be made available for community events and private contemplation. 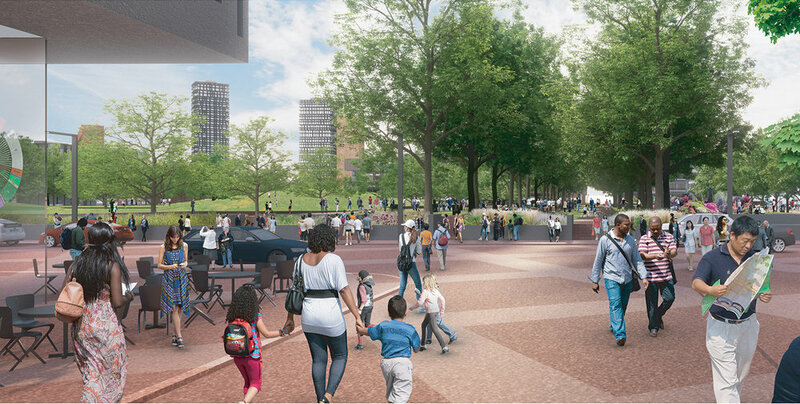 Cafes, a bicycle rental shop, a children’s play area, picnic groves, a sports lawn, and an informal ‘shellmound’ amphitheater will provide multiple recreational opportunities for locals and visitors. O|CB is collaborating with British architect David Adjaye on the Green Room project. The project is currently in Conceptual Design.